Attention: Rare for rent !! 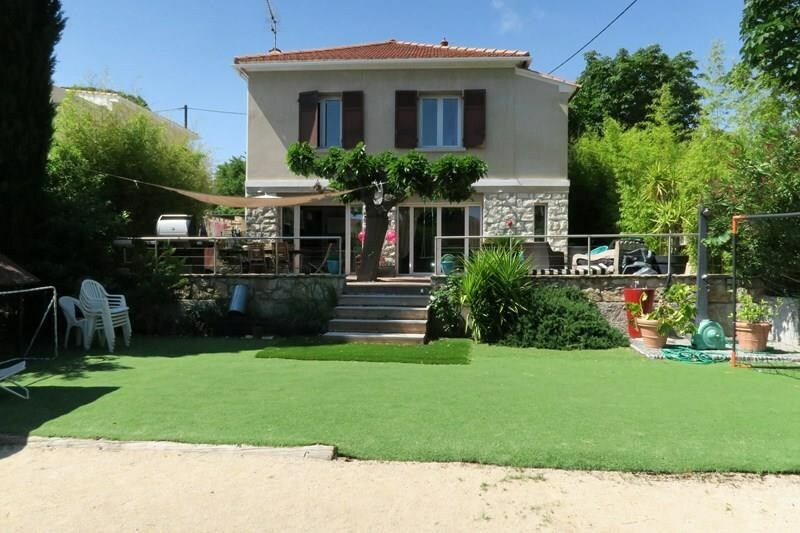 Beautiful house (3 bedrooms) with secure parking, large terrace, garden; all only 150 m from the city center and 400 m from the port of Sanary sur Mer ! WIFI internet access - 6 people maximum. 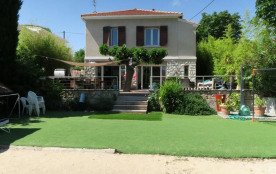 Located avenue du Maréchal Lyautey, villa built on 2 levels and comprising on the ground floor: a fully equipped kitchen, a large living-dining room, a laundry room, a toilet with washbasin. On the floor: 3 rooms, a big room of water with toilet. The spacious living room and kitchen open on to a large terrace with table, chairs, garden furniture, barbecue, shade sail. Following and below, a large garden synthetic lawn and bowling, an outdoor shower. A superb location for anyone who wants to do everything on foot (downtown, shops, harbor, day and night markets, beach). Quiet, space, proximity: it's up to you to enjoy !